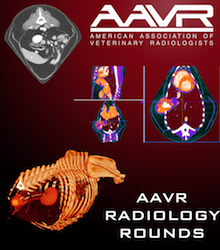 The following MRI practice guidelines were developed by the AAVR for use by the veterinary community. These protocols were developed based on the experience of the MRI Practice Guidelines Team. Seth Wallack DVM DACVR: Dr. Wallack received his veterinary degree and completed a four-year radiology residency at University of California, Davis. He is board certified in radiology and has special interests in MRI, small animal ultrasound and exotic animal radiography. 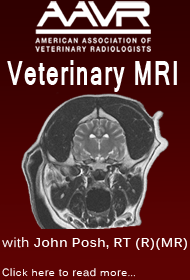 He has published scientific articles specific for MRI and authored “The Handbook of Veterinary Contrast Radiography.” He has lectured on various topics, including MRI, emergency ultrasound, and radiography, in both regional and national meetings. His most recent projects include founding the AAVR, creating the Ultrasound in Emergency Situations Course (USES) for the AAVR, and developing the thyroid to background ratio for feline hyperthyroid therapy. John Posh RT(R)(MR): John Posh is a professional imaging technologist with over 20 years experience in MRI operations, education, research, and management. He has been a consultant nationally and internationally on the design and operation of veterinary imaging facilities, MRI safety issues, and technologist training and education. He is currently the Director of the MRI Internship Program at the Hospital of the University of Pennsylvania. Patrick Gavin DVM DACVR: Dr. Gavin received his DVM from Washington State University, Pullman in 1971, and PhD at Colorado State University in 1980. He has been at Washington State University since 1979 and is currently a Professor Emeritus in Radiology and Radiation Oncology. 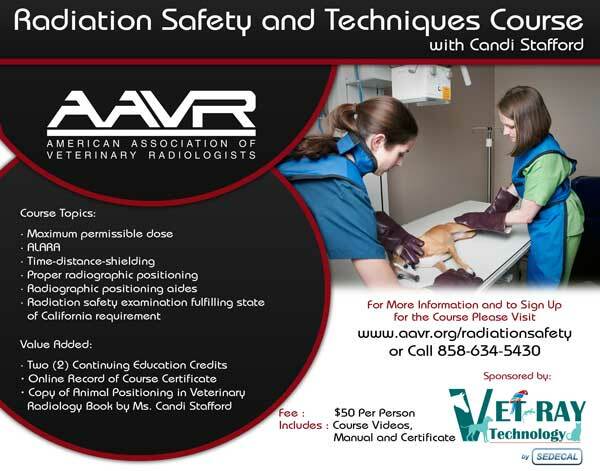 Dr. Gavin is a Diplomate in the American College of Veterinary Radiology and is also boarded in the ACVR Radiation Oncology Affiliate. He currently owns his own consulting company, MR Vets, Inc. He is a consultant for protocol development and image interpretation for the Iams Pet Imaging Centers in Vienna, Virginia; Raleigh, North Carolina; and Redwood City, California. 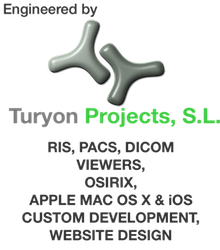 He also provides CT and MRI case interpretation for practices throughout the world, including Massachusetts, New Jersey, Pennsylvania, Texas, California, Oregon, Oklahoma, Kentucky, Florida, and Washington, along with groups in Belgium, Australia and the UK. You can review more information at www.mrvets.com . Carter Judy DVM DACVS: Originally from Pasadena, California, Dr. Judy attended the University of California, San Diego for his undergraduate work in Animal Physiology and Neurosciences. He then attended the School of Veterinary Medicine at the University of California, Davis. After achieving his veterinary degree, he completed an internship in large animal medicine and surgery at Texas A&M University and a residency in equine surgery and performance evaluation at U.C. Davis. Having successfully completed the strenuous board accreditation process, Dr. Judy is a Diplomate of the American College of Veterinary Surgeons. Dr. Judy has joined the veterinary team at Alamo Pintado and now resides in the town of Ballard. Bernard Walsh MVB, MRCVS, CVR, DACVR: Dr. Walsh graduated from the Veterinary College of Ireland, University College Dublin in 1987. He was awarded a Certificate in Veterinary Radiology from the Royal College of Veterinary Surgeons in 1993. He subsequently completed a three-year radiology residency at the University of Pennyslvania, Philadelphia, to become a Diplomate of the American College of Veterinary Radiology in 1998. He has lectured in universities in the UK, the Caribbean and the US. Bernard is managing director of VETSCAN with which he continues to provide a cutting-edge diagnostic imaging service to companion animal vets in the southeast of the UK and via telemedicine the rest of the world.